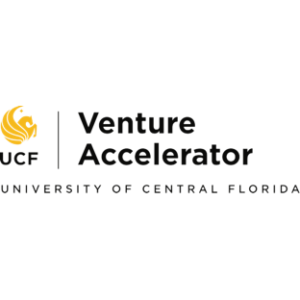 The UCF Venture Accelerator is a joint initiative between the UCF Office of Research & Commercialization, the UCF College of Business, and Orange County, Florida. These three entities noted that there was an urgent need for a resource where entrepreneurs interested in launching technology businesses could turn to assistance in launching high technology ventures. To provide early-stage entrepreneurs with access to experienced business coaches that can assist them in the pre-business steps that are critical for the successful launch of technology firms. The UCF Venture Accelerator was formed to provide expertise and guidance to technology entrepreneurs in a variety of areas including business plan creation and investor presentations, intellectual property resources, market research, incorporation and corporate structure, product validation, and funding opportunities. The UCF Venture Accelerator specifically focuses on mentoring companies that are located in Central Florida and that have the potential to create jobs in technology or science domains. Since our inception in 2004, the UCF Venture Accelerator has mentored hundreds of students in validating their business ideas and intellectual property assets. The UCF Venture Accelerator has also been involved with the launch and early-stage revenue growth of over a dozen technology companies that have officially opened their doors in the Central Florida region.